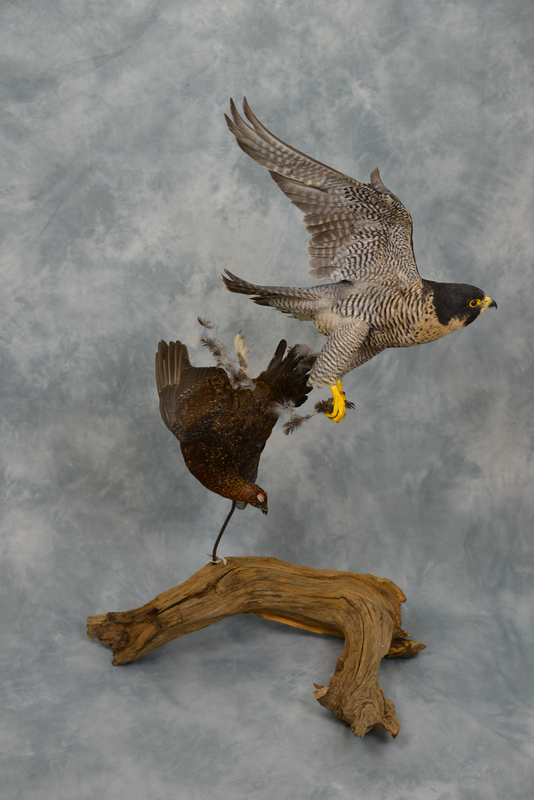 Peregrine Falcon in flying pose chasing Red Grouse affixed to log. 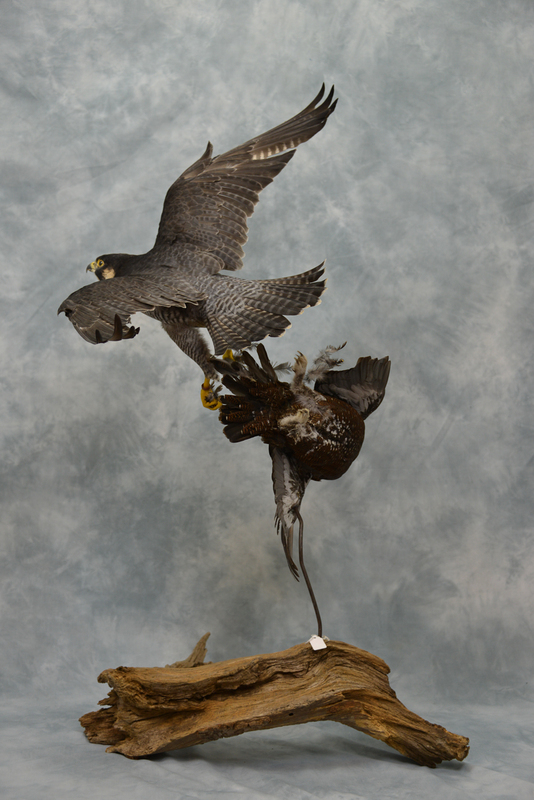 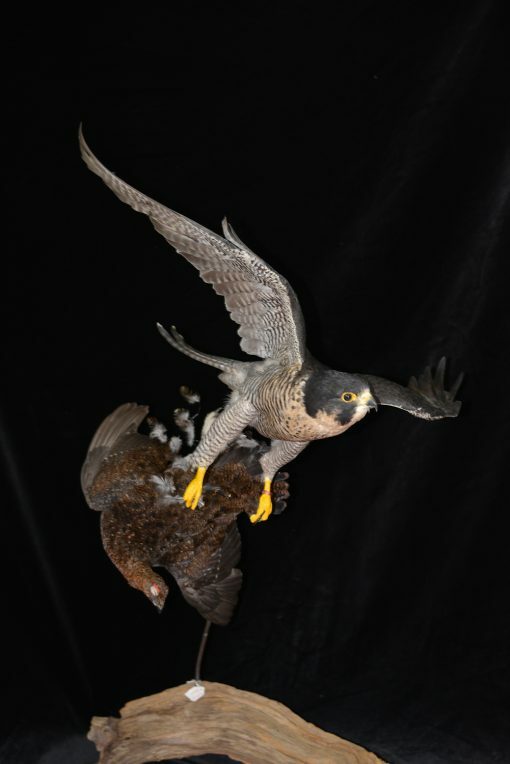 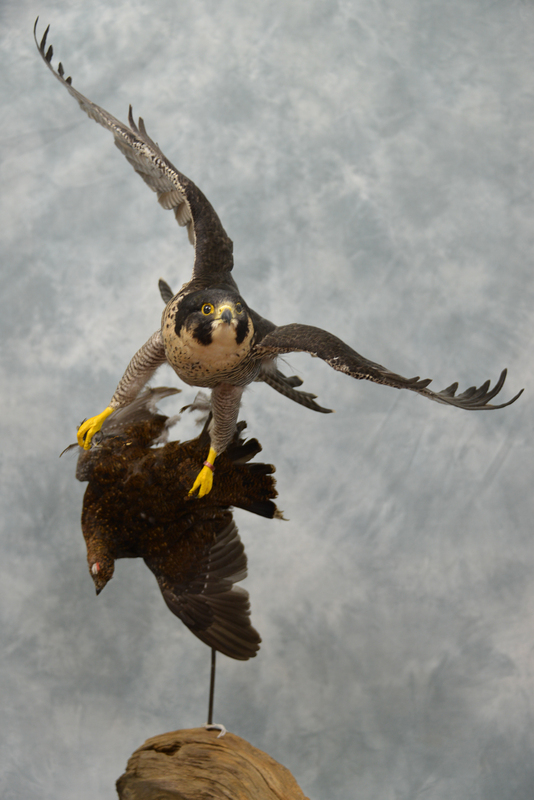 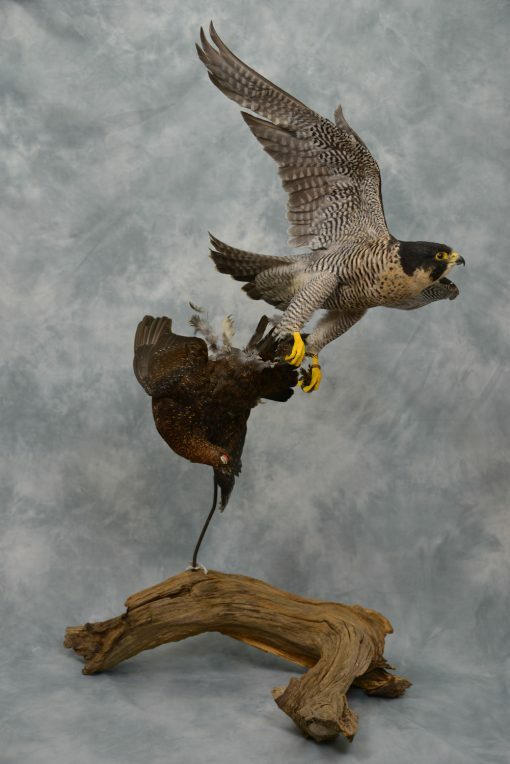 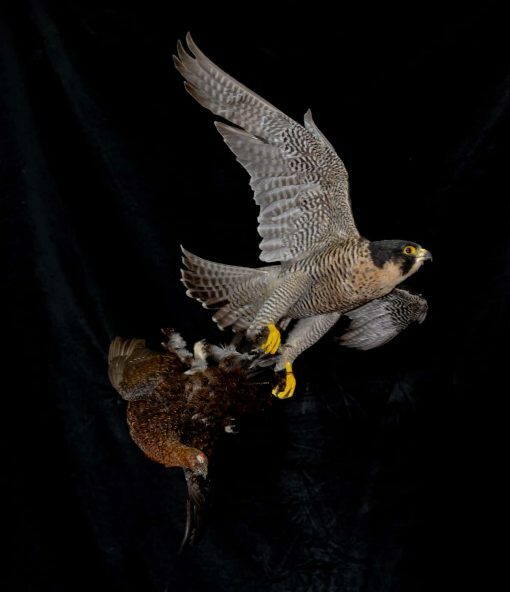 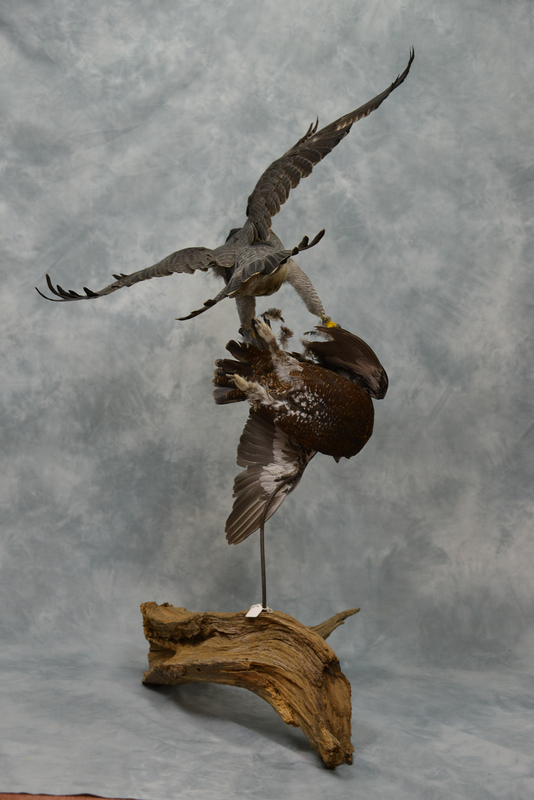 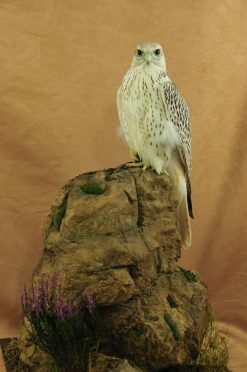 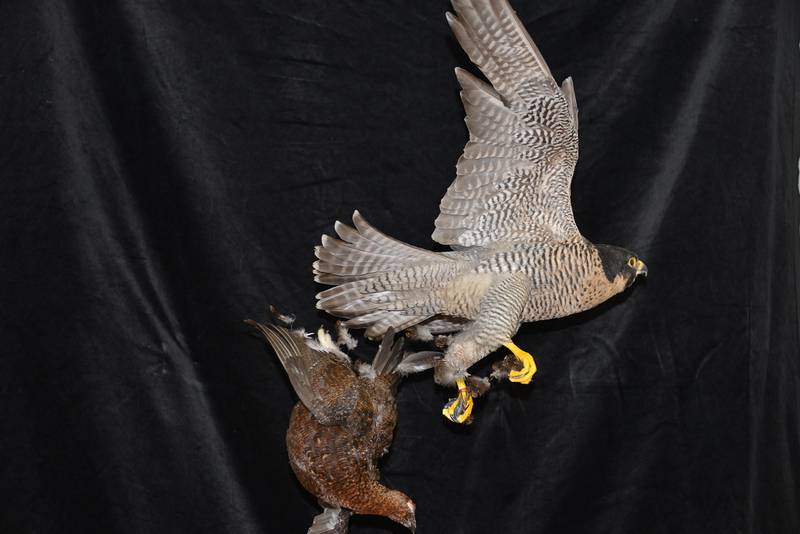 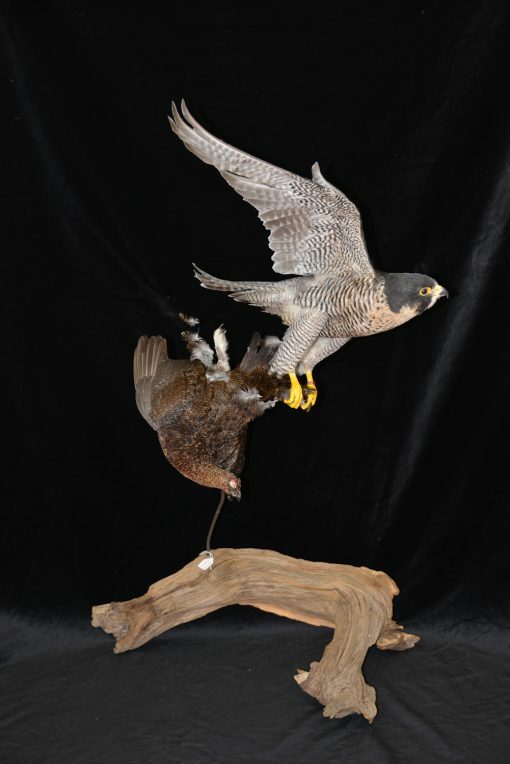 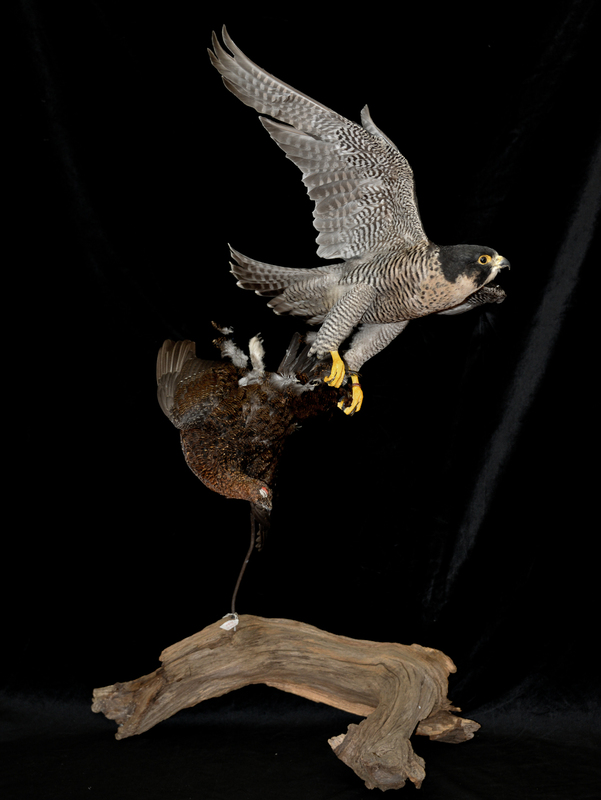 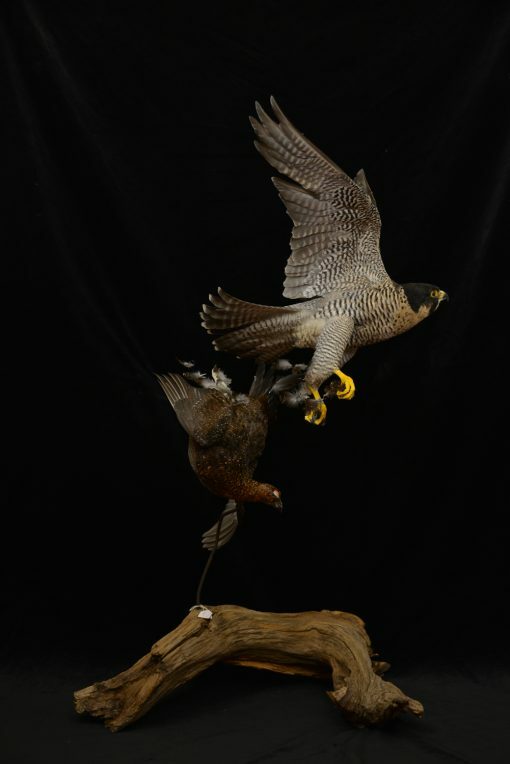 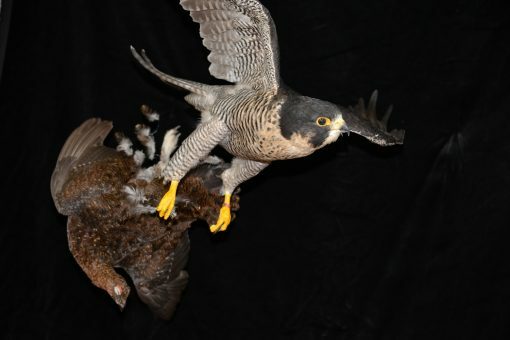 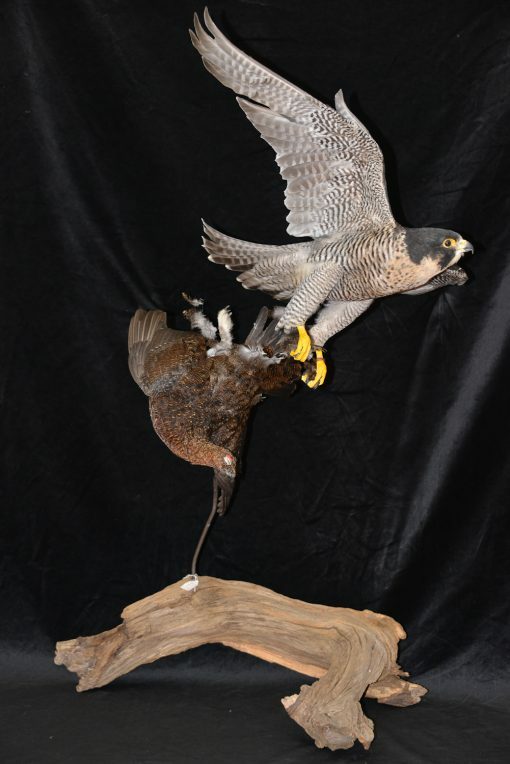 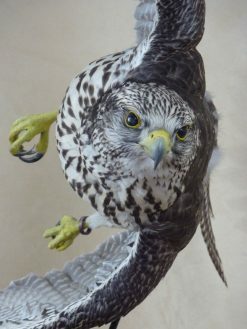 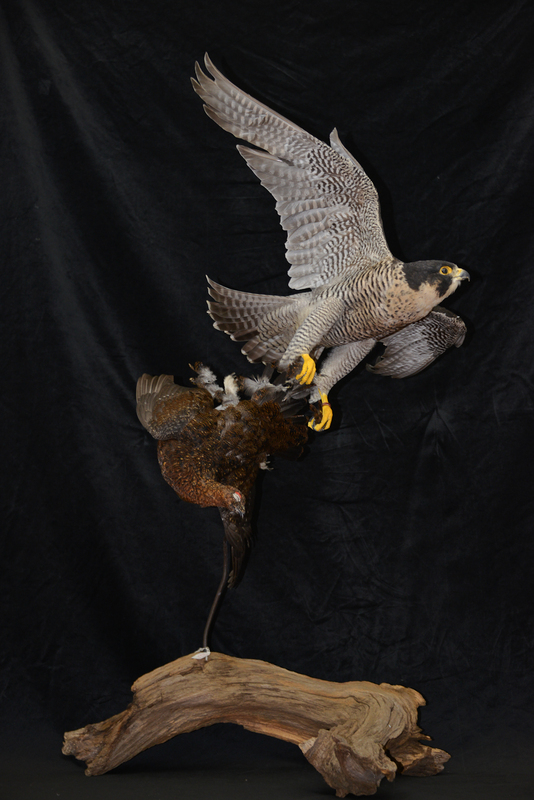 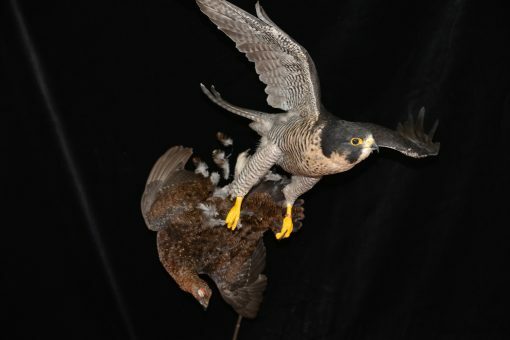 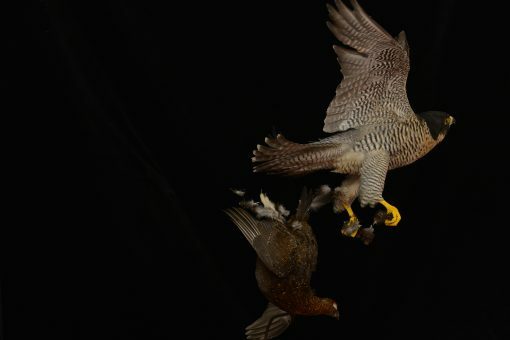 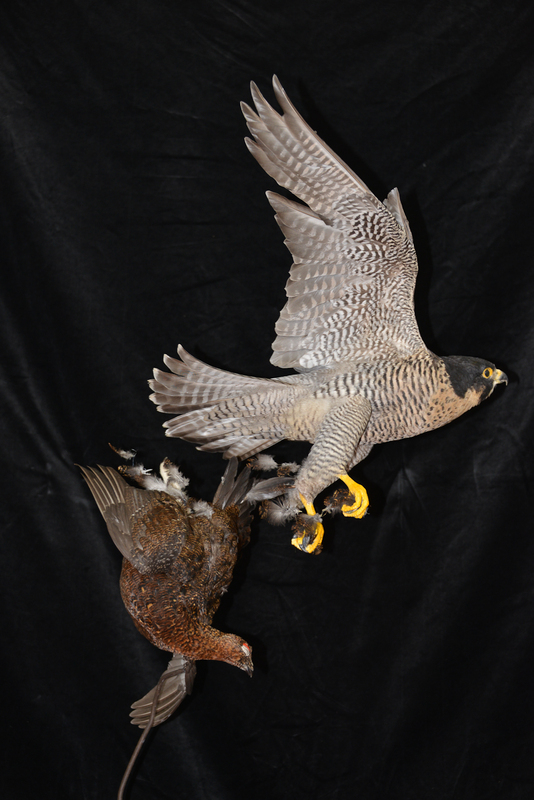 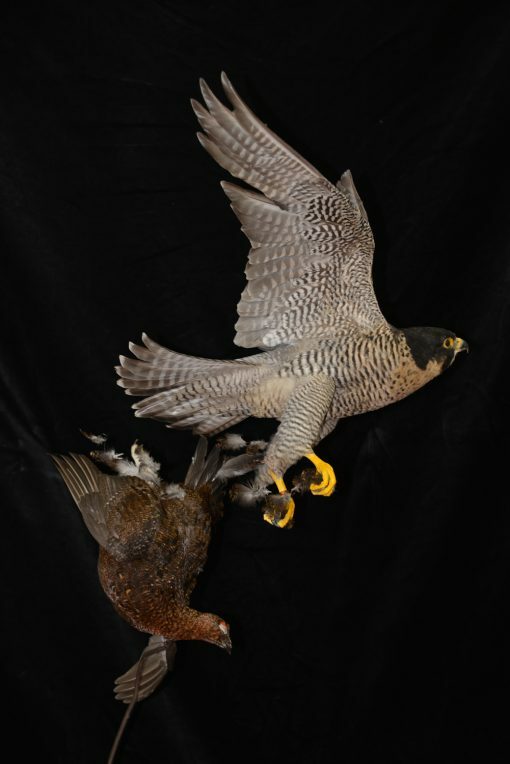 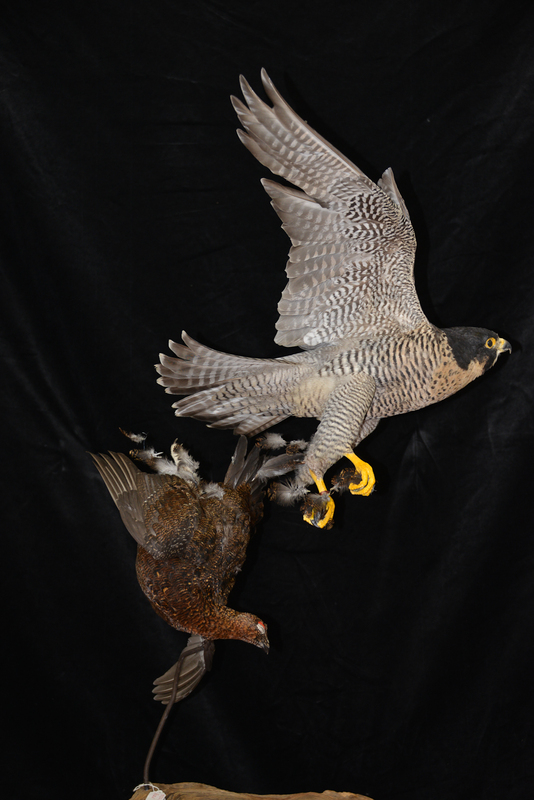 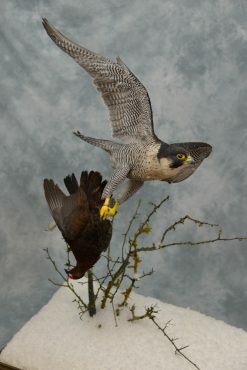 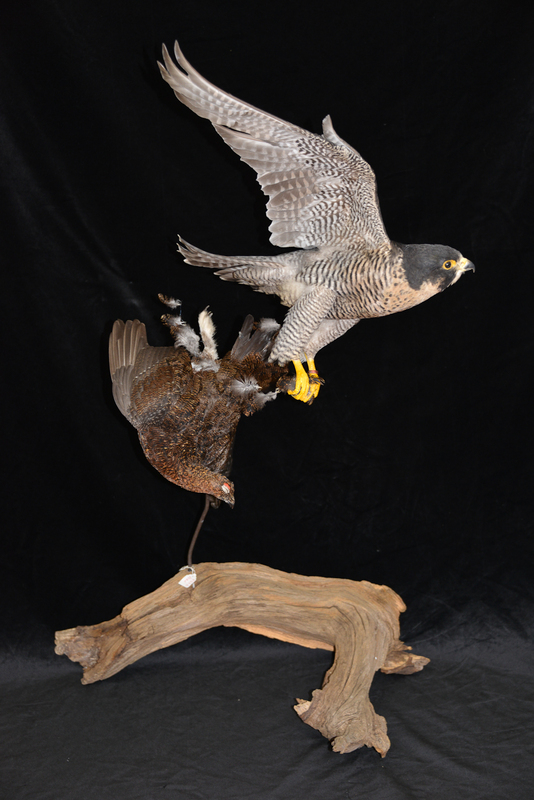 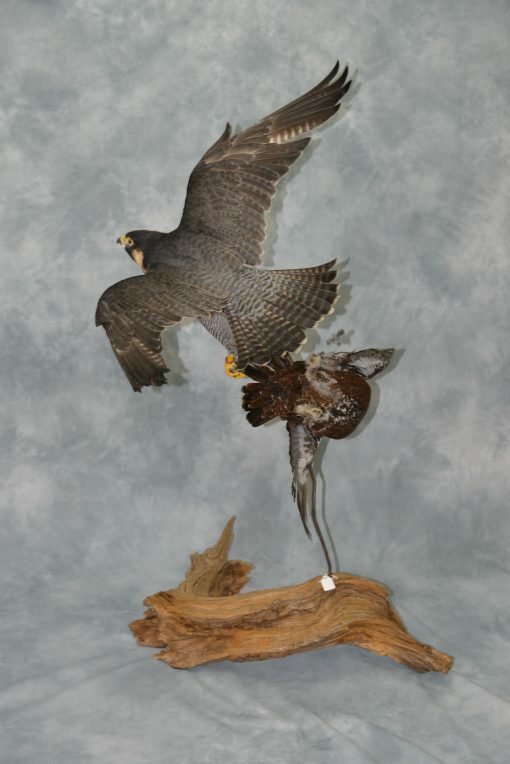 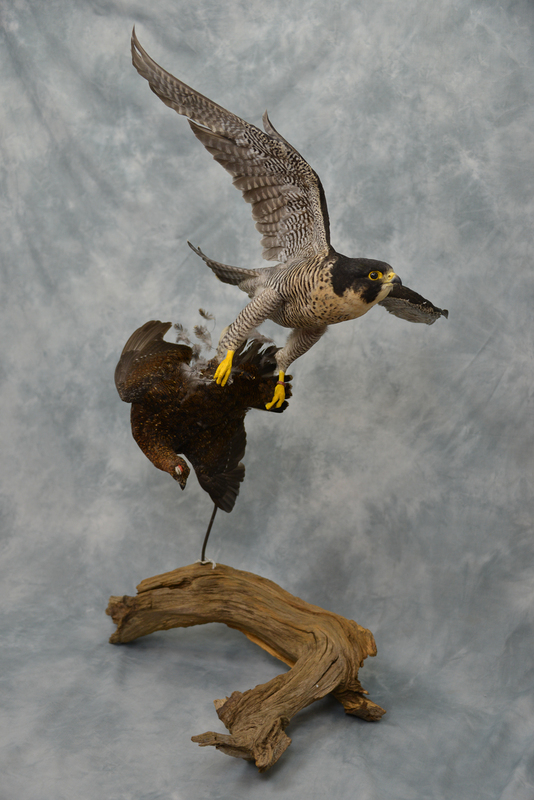 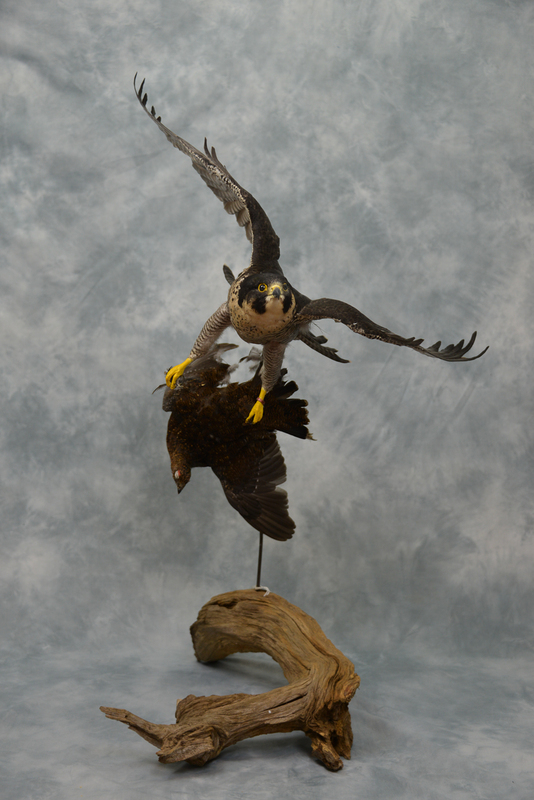 This was a challenging pose and I tried to keep the bird taxidermy mount looking as close to life as possible. 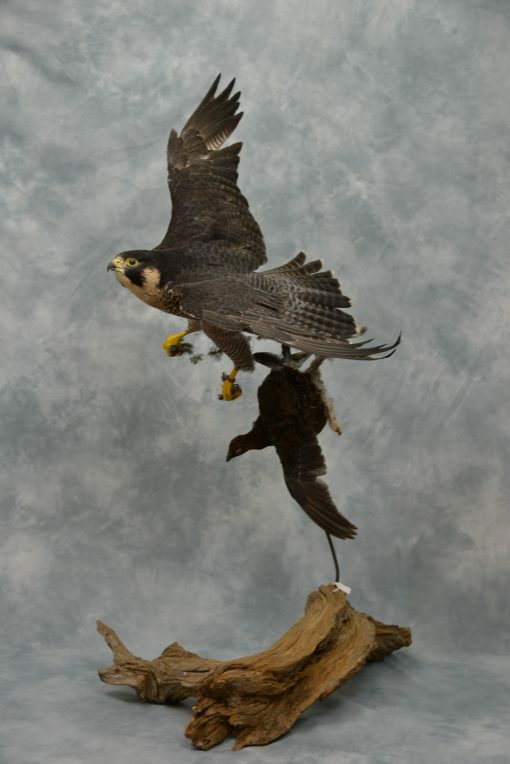 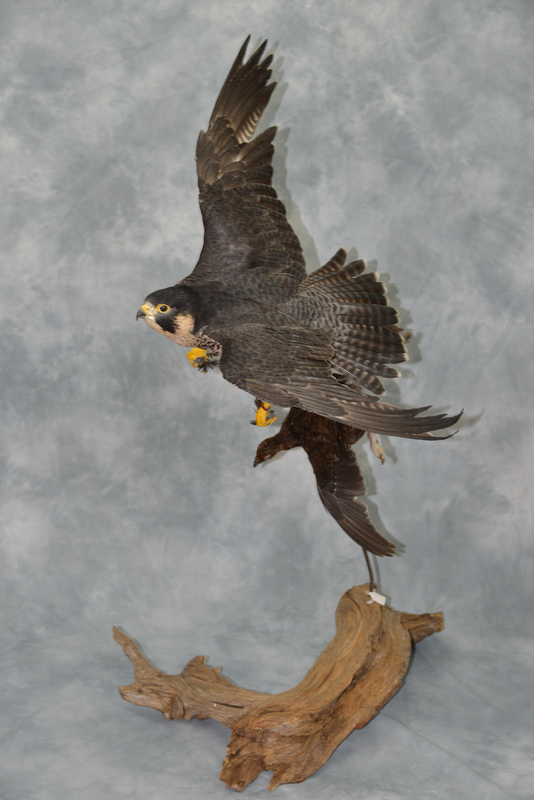 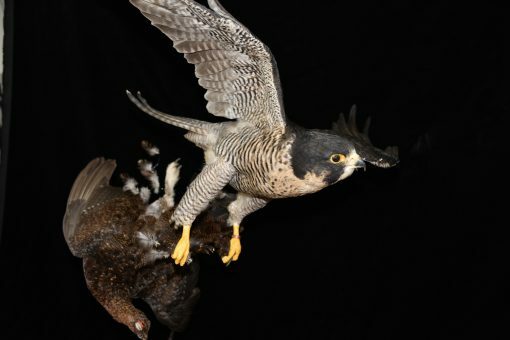 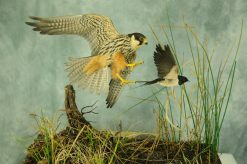 Looking at the G-force a bird like the peregrine falcon would sustain pulling out of a dive I had to give my best ans calculated guess this I believe to be around 3g and at a stress of the magnitude the cule on the feathers is as close to what I can find out a accurate.